Barbie Life in the Dreamhouse Talkin' RAQUELLE Barbie Doll NEW! In Barbie™ in Princess Power movie, a modern-day princess is kissed by a magical butterfly and discovers she has special powers. Will she join forces with her “super” friends and rid the kingdom of its enemy? Girls will love playing out this story and others with this amazing transforming doll. Always a princess, Kara doll is ready for any royal event in a pink gown with full skirt and sheer peplum. But when danger calls, push the gem on her bodice to see her spin and transform from a princess into her super alter ego, Super Sparkle™! 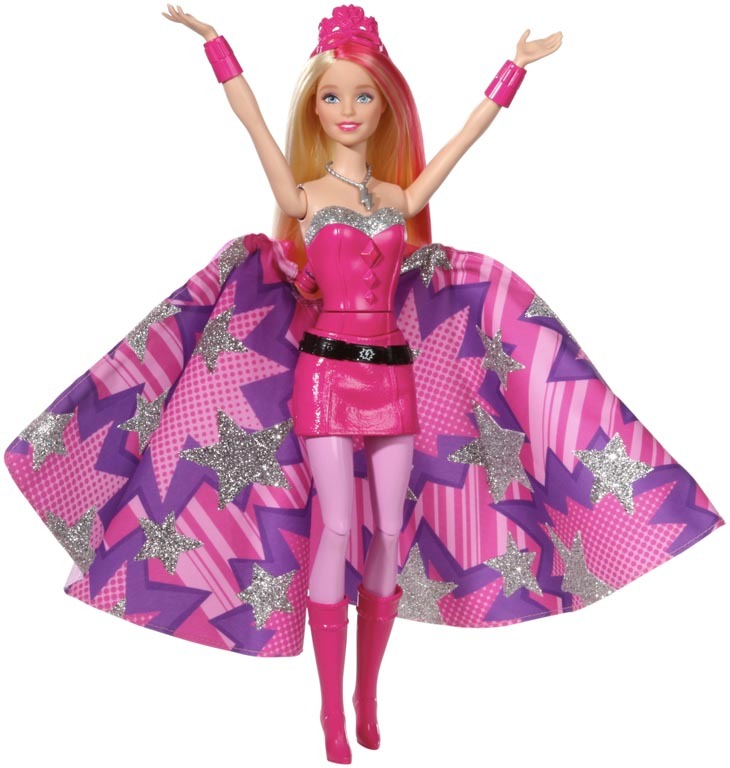 Her skirt opens into a fabulous sparkly cape lined with a graphic star print -- a pink skirt, utility belt with hero insignia and tall pink boots complete the fabulous look of this protector of the kingdom. Accessories include wrist cuffs, a lightning bolt necklace and a tiara that transforms into a mask. To return to princess pretty, simply twist the doll’s torso. Girls can transform her look over and over again as they play out their own super adventures! Includes transforming doll wearing fashion and accessories. Doll cannot stand or fly alone. Dress is not removable. Brand new and never removed from a nice package!